The Grounds of Appeal for Susan's recent appeal had as point (5) "Those originally acting for the appellant did not establish that there was material to suggest the real possibility of an unknown assailant." This is probably true of this appeal as well. The Appeal Judgement states, "having considered the remaining grounds of appeal, we cannot find any substance in any of them." (ref 6.0) I believe that the available material presented fully below clearly demonstrates the strong probability of an unknown assailant. The police produced all the evidence that I shall be presenting but for one reason or another it was not made use of by the original defence and therefore not heard by the jury. Whilst mentioned in the Grounds for the November 2001 appeal the issues discussed below were not presented at the actual hearing. None of the detail mentioned here has ever been rehearsed in open court. Susan had been her aunt's sole carer for some years, visiting her three or four times each day. No evidence was produced at trial to show that Susan was a violent person. Dozens of people volunteered character references to say that she was not at all violent. These were not used but are now available elsewhere on this website. The reports below bring together most of the evidence that was collected relating to the possibility of someone other than Susan having committed the murder. This presentation does not include the original documents that are referred to but copies can be supplied on request. The names of private individuals have been protected. A statement (ref 1.0) was made by P O, who was a sixteen-year-old next-door neighbour of the deceased Hilda Marchbank, Susan May's aunt. The Police Action Record Print (ref 1.1) relates to P O's statement. It is P O's testimony that he heard the sound of voices at approximately 1 - 1.30 am on the night of the murder that attracted him to his bedroom window, from where he saw a dark red car parked outside the house where the murder occurred. The car's lights were on and its engine was running but it was without occupants and it remained there for about fifteen minutes. After that time it moved off and he noticed that its engine was 'chugging'. This car became the object of a large-scale search but neither it nor its occupants have ever been identified. What were these men doing for the fifteen minutes that they were absent from the car? This question deserves serious thought before reading on. Later on we will see evidence regarding other suspects, the two prime ones being B B and M R.
On the attached sheet (ref 1.2) you will see that B B had a maroon hatchback and on the attached sheet (ref 1.3) you will see that M R's sister had an orangey red Fiesta that her brother could possibly have borrowed. M R's friend J H also had a brown/rust coloured car that they used together (ref 1.4). The Police Policy File dated 15 April 1992 (ref 1.5) shows the 'action' for the police to continue to look for this red car still to be 'live'. There is no policy change on this up to the 1 May 1992 when the file ends. The car was never found. The original jury did not hear the evidence in this report. On examining Hilda Marchbank's body whilst it was still on the bed at her house on the first day of the investigation Mr Davie, the forensic science officer, found 1 grey hair, 3 colourless fibres and 1 red fibre and referenced them MJD 21 (ref 2.1 and 2.3). Lying as they were on the hand of the deceased these fibres, not being from Hilda's clothes or bedding, must belong to the murderer. Hilda's nightdress and bedding and items of Susan's clothing were taken to Mr Davie's lab (ref 2.4 - pages 5 and 6) and checked for comparison with these fibres. No comparison was found. Two weeks prior to Hilda's murder one of our prime suspects, M R was strongly suspected of having broken into a house about 4 miles from Hilda's. He had brutally beaten the old lady who lived there, trying to get her to tell him where her money was. She made a statement (ref 2.5) saying that the men were "wearing thick light coloured socks on their hands". The original jury were not told of these fibres that so clearly point away from Susan and towards another unknown person. The explanation as to why the jury did not hear about these fibres is that they were 'concealed' from Susan's defence by the way in which they were described to them. Discovered on that first day by Mr Davie he described them in his contemporaneous notes as 'Visible fibres/hairs from fingers left hand' (ref. 2.1). At 6pm that evening at the police station in the police 'Policy Log', they were referred to as 'fibres' (ref. 2.2a). But by the time Mr Davie wrote his statement on the 8th July 1992, Susan had been charged, and the description changed to MJD 21 'hairs from left hand of deceased." Mr Davie's statement would be the first point of reference for this exhibit that the defence would be given to learn about this item and on reading Mr Davie's description they would have no reason to seek further clarification. The murder was committed on a rainy night so any person entering the house would inevitably leave some footmarks at the point of entry that was by way of the rear porch. This was true of the two ambulance men whose footmarks were found and eliminated. Thomas Anthony Brimley was the prosecution expert on footmarks analysis and on page 4 of his statement (ref 3.1) he stated that there were two footmarks in the kitchen porch (the burglar's point of entry), which cannot be accounted for. On page 3 of Mr Brimley's statement (ref 3.2) he refers to having examined a footwear mark taken from an upstairs wardrobe (an area where the burglars had been), which again could not be accounted for. The police interviewed A W, a known violent criminal, because they had on file from an incident four weeks earlier a footwear mark of his that was similar to the mark in the wardrobe. A W stated that he had got rid of those shoes 3 days after Hilda was murdered (ref 3.3). Mr Brimley commented in the final paragraph of his statement (ref 3.1) that, "it is not uncommon for detailed examination of a scene to reveal footwear impressions which are unrelated to the incident in question." This might be the case when the premises concerned have lots of people coming and going but this particular house was that of an old lady who had few visitors, all of who were known to her. NB. Apparently burglars stand on the floor of wardrobes to help them reach up to check what is on the top. How 'common' is it to find footmarks in wardrobes, murder scene or otherwise? We cannot be happy that Susan committed this murder whilst the makers of these footmarks remain unidentified. The fingerprint experts struggled to eliminate three unidentified fingerprints. The first (ref 3.4 - F3) was on the wall at the top of the stairs, which was on the route that the burglars would have had to use. The second (ref 3.5 - A3) turned out, after much searching, to have been made by Detective Chief Inspector Rainford, the second in command of the investigation. The third (ref 3.6 - B2) was on the kitchen wall just to the left of the doorway that led into the room where Hilda was murdered. This could be the murderer's or a previously unconvicted accomplice. Again, this is not a house that entertains many strangers and certainly not at the top of the stairs! The testimony of M B, the cleaner (ref 3.7), that she was meticulous at keeping the walls clean was very strong both at trial and at appeal. If the fingerprints mentioned above were visibly noticeable and were there prior to the murder, we should take it that they would have been seen and cleaned off the wall the day before the murder, M B's cleaning day. We must look somewhere other than Susan if we want to find the real murderer. There is not enough evidence to say whom the real killer was but the evidence presented here must cause you to have reasonable doubt that Susan May was the killer. B B became a suspect after his sister had telephoned the police saying that she suspected him of being the murderer (ref 4.1 is the Action Record Print of that telephone conversation). Her suspicion was aroused because B B had spoken to her about the murder at approximately 8.30am of the morning when Susan found the body at 9.45am. K B, B B's sister, stated that she knew that B B was a violent person and also that he drove a maroon hatchback (see report number 1above). She went into more detail on the 'Message Record Print' (ref 4.2), where she says that B B had visited her house at 8.30am on the morning after the murder trying to sell her some old lady's jewellery that she did not buy. At that time he had asked her, "Have you heard about that old woman who has been battered to death in Royton?" K B stated that she "hadn't heard anything on the news". Susan did not find her aunt until 9.45am so there was no way for B B or anyone else to know about the murder if they were not involved in some way. Under police questioning B B admitted to being out that night doing a burglary in another part of town. He said he had not been anywhere near Tandle Hill Road. It is not the intention to say that B B was the murderer. The burglary that he confessed to satisfied the police as an alibi for him. B B, according to his own statement, left his house at 12.45am. This would have give him time to commit the murder at 1.15am and he was absent long enough to then carry out the other burglary as an alibi against any accusations of murder that might come his way. He was not necessarily the murderer, but that he knew it had happened before even the body had been found shows that he, or someone he knew and not Susan, must be the murderer. B B initially denied that he had seen K B at all that morning. Under pressure to extricate himself from the murder he finally admitted to having been at K B's at "about 8.15am". (ref 4.3 gives extracts from B B's fourth interview). K B's and B B's statements corroborate so that it is clear exactly when the conversation took place, i.e. before Susan, the police or the media knew that Hilda had been killed. B B did not however admit to having said that he knew about the old lady's death. A relative, J L, had heard the conversation and she and K B had conferred before making the telephone call (source: solicitor's interview, pre first appeal). Had they been unsure about the timing or content of the conversation it is unlikely that they would have made the call. K B's statement could have been used as decisive evidence that someone else and not Susan had committed this murder, but for the police's gross mismanagement of the press. K B had used the word 'battered' in her telephone conversation. She knew the means of Hilda's death so B B must have known the murderer if he knew how the lady had died. Unfortunately Detective Superintendent William Kerr, the officer in charge of the investigation, in his first press interview revealed publicly that the old lady had been battered and smothered! We cannot blame Susan's solicitor for the fact that this evidence was not used at trial. The reason that it was not used was that it was not made available to them. The police's explanation for this was that it had been filed under 'BB's burglary' rather than 'Hilda Marchbank's murder'. B B, the burglar referred to in the previous report, in interview said, "Why are you picking on me, there must be thirty thousand others out there?" Being a burglar himself he knew that there must have been lots of his colleagues out on the streets that night. This report will focus in on one such person, of whom it was said by the police in their 'Policy File' (ref 5.1) that he was a 'good suspect'. The police did not have enough evidence to charge M R with Hilda's murder but the presentation of this 'portrait' will show one who is far more likely to be the culprit than Susan. Two weeks prior to the murder of Hilda Marchbank two men gained entry into the house of an old lady, A C (ref 5.2 and 2a), and viciously beat her until she told them where her money was (£54). One of the men was referred to as 'M'. Clothing fibres were found at the scene of that crime (ref 5.3 - Police Action record Print) and M R's clothes were taken to check against these fibres. No match was obtained. The day after the above robbery M R had obtained a change of clothing from his sister (ref 5.4). She had volunteered this information via an anonymous phone call. He was not charged with this robbery. Two days after the murder of Hilda Marchbank M R, along with his common law wife A J, was involved in another vicious attack on a 47-year-old man, J P (ref. 5.5). M R and A J were both implicated in this attack that involved the man being kicked in the head until they thought that they had killed him. M R was charged and convicted of this crime. The police's attention to M R as a suspect regarding the murder of Susan's aunt initially came from an anonymous phone call on 17 March (ref 5.6 - Message Record Print). The message read, "THIS IS NOT A MALICIOUS CALL, I'VE OVERHEARD TALK IN A PUB, THAT THE PERSON RESPONSIBLE FOR BATTERING / SMOTHERING THAT OLD LADY IN ROYTON IS M R, 145 A… STREET, BURY. HE ALSO ATTACKED ANOTHER OLD LADY SOME THREE WEEKS AGO AT SUDDEN, WHEN HE WAS ACCOMPANIED BY F E". The 'Officer's Report Record Print' (ref, 5.7 and 7a) indicated that the officer felt certain that this call was made by a close relative of M R's. On 19 March a lady, A T, who described herself as a long time friend and confident of M R, contacted the police to relate a conversation that she had had with M R just two days after Hilda's murder (ref 5.8). M R had sought her out to use her as a confident again but because they had recently had a fall out she was turning him away. Her statement reads, " I could see that he was not his usual self, he appeared agitated and nervous, so I went down and opened the front (door) where we remained talking. He asked to be let into the pub, but I told him no. There was some conversation about his work, and then he said something to the effect, 'I'VE GOT TO TELL YOU SOMETHING.' I told him not to tell me anything and that I wasn't interested and he said again, 'YOU DON'T UNDERSTAND, I'VE REALLY DONE IT THIS TIME.' I again told him that I did not want to know anything. He was obviously upset and his eyes filled up he gestured with both hands and then walked away. I went back into the pub and that was the last time I saw him. (The capital letters are used in the police's original statement). [The writer of this report has recently personally spoken to one of M R's associates who was involved with him in the J P attack mentioned above. He also remembered that M R was unusually worried about something at that time. Of course this is only 'hearsay']. M R could have been in J H's earlier mentioned 'brown or rust coloured' car (ref. 5.9), or he could have borrowed his sister's 'red/ orange' car (ref. 5.10) to use for Hilda's murder, both of which go some way to fitting the description given by the neighbour. Also, as mentioned previously, if M R was in the habit of covering his hands with fisherman type socks (ref. 5.11 and 5.2a - A C's testimony) then fibres from them could have matched those found on Susan's aunt's hand had the police checked. M R's alibi was said to be 'very vague' by the police (ref 5.12). A J and drug addict K E had spent that whole twenty-four hour period at K E's house drinking; they had not watched television and they had not been visited by anyone (ref. 5.13). All the above evidence is only circumstantial and there is not enough here to convict M R but, given this evidence, the jury would have tended towards him rather than Susan, against whom the evidence was similarly only circumstantial. 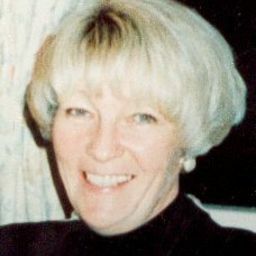 The issues raised in the above reports present the real probability of the murder of Hilda Marchbank being carried out by an unknown assailant. 1) The Red Car that was seen outside the murder scene at 1.15am. It was there for fifteen minutes without occupants and with its engine running. 2) Fibres found on the murdered lady's hand that did not match with any of Susan's clothing but might have matched a known burglars 'gloves'. 3) Three footmarks and two fingerprints that were not identified as belonging to any legitimate visitor to the house. 4) B B, who knew of the murder before Susan had found the dead body. 5) M R, who was said to be a 'good suspect' by the police with two separate witnesses implicating him with the crime. The original jury did not hear the evidence outlined above. Put yourself in the shoes of the original jurors and consider, in the light of the above, whether it can indeed be claimed that Susan is guilty beyond reasonable doubt. With the inclusion of the above into the original trial proceedings there is ample grounds to doubt that the jury would have brought in a guilty verdict.